Everyone at some point in their lives has had a fear of the dark. Or a fear of something being under the bed. Or a fear of what is lurking in the shadows. Taking that natural fear and using it as a tool for a horror film immediately gives it a sense of creepiness. It’s also used so often as a horror cliche. The hand that suddenly appears from the darkness, or the noise from the dark cupboard. Using it as the main source of a horror film, it had better be something special to stop people from having that “seen it before” attitude. Lights Out have the darkness as the main ingredient and thankfully, it works and works well. Martin is having trouble sleeping. His father has been mysteriously murdered and his mother, Sophie, suffering from depression, is talking to herself. After sleeping in school, Martin calls his older sister, Rebecca, which awakens memories of her own time growing up and an entity that hides in the darkness called Diana. Based on his own short film, newcomer director David F. Sandberg could have easily gone down the route of another ‘quiet, quiet, LOUD’ it’s behind you horror which would have given his audience cheap thrills but nothing else. Instead, he has delivered a horror that, certainly for me, ticks all the right boxes. Characters that are believable and that you care about, a slow build up of tension and a simple story that he has confidence in to carry through to a shocking but a somewhat satisfactory conclusion. Similar in feel to one of my favourite horrors of recent times, The Babadook, Sandberg uses family as its basis and the struggles of a mother. The source of the creation came from the mother in the 2014 film, which also occurs here. Incidents from Sophie’s past are the cause of the events, which instantly targets her children, the one thing she refuses to allow. Instead of making the characters paper thin and cliched, they are rounded and interesting and serve a purpose that pushes the story forward instead of just using them as victims. Credit also has to go to the sound editing department, who surround the cinema with creaking floorboards and scratches that, at one point, I thought was a sound emulating from an audience member pushing their straw in and out of their drinks cup. This adds to the tension, which Sandberg builds quite brilliantly, taking his time to develop set-ups before having the jumps and scares. Clever considering the short running time. The performances are terrific. Teresa Palmer isn’t your normal damsel in distress as Rebecca. This is a woman who has a back story as well as human qualities. She has to stay strong for her brother, even though she’s just as scared as he is. Young Gabriel Bateman does a good job as Martin, who is just as good as the adults in the film. 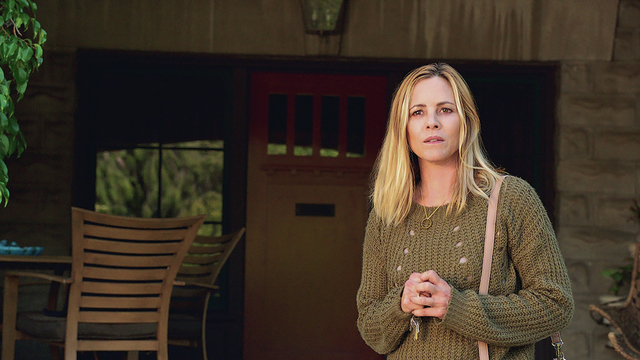 The real star is the underrated Maria Bello as Sophie, a woman who brings with her a world she cannot control and who doesn’t want her family to be hurt. You kind of want more scenes with her and hopefully other filmmakers will she just how good she can be with the right script and direction. 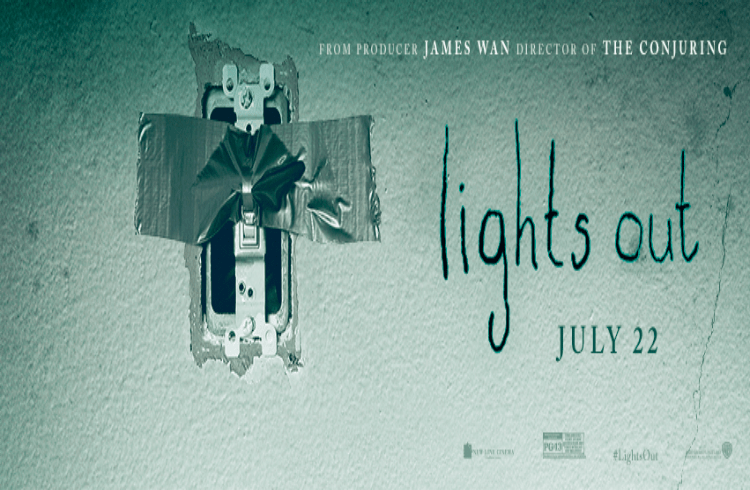 Lights Out is an effectively creepy horror that will satisfy those who want the jumps and those who want some intelligence with a story that may sound far-fetched but rings true thanks to a strong script, great performances, and a director who wants to gives us more than cheap thrills. Not as good as The Babadook but pretty close. You will want to check your bulbs in your house afterward.